With patio, pergola and fire pit, the rear yard is a private retreat. MLS#21626608. Encore Sotheby's International. HVAC 2014, Roof,Siding & Windows 2017, Kitchen Appliances 2014 MLS#21635782. CENTURY 21 Scheetz. Roof, ext paint, & gutters updated in 2018! MLS#21635375. CENTURY 21 Scheetz. Austin Oaks - Well over $100,000 in upgrades including 2 new HVAC systems, new roof, new drive, new paint, whole house generator. Must see to believe! MLS#21633582. Coldwell Banker - Kaiser. Raintree Place - Landscaping deserving of a magazine spread, so much care a real treat to show, a true rare showpiece. MLS#21636139. ERA Real Estate Links. Enjoy the amenities of Stonegate w/ the pool/clubhouse & restaurant an easy stroll from ur front door. MLS#21636001. Carpenter, REALTORS®. 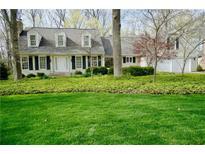 Sycamore Bend - NO Association/Restrictions near the heart of Zionsville! 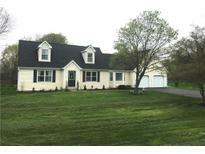 MLS#21636024. Carpenter, REALTORS®. 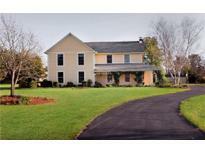 Countrywood - Minutes from Union Elementary, while being down the road from so much more! MLS#21635861. CENTURY 21 Scheetz. 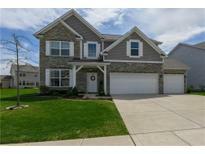 Top rated Zionsville Schools, quick access to I-65/465. MLS#21634835. F.C. Tucker Company. Royal Run - Recent updates include: kitchen, main level flooring and more! MLS#21632465. Carpenter, REALTORS®. Open floor plan looks out from the Kitchen to the Family Room with a wonderful fireplace. MLS#21635421. Springer Real Estate Co.